Design, fabrication and installation of 12 suction pile anchors. Installation of 12 pre-set chain/ polyester mooring lines and hook up of the Delta House Floating Production System (FPS) in 4,400 ft. of water for LLOG. InterMoor was responsible for designing, engineering, fabricating and installing 12 suction pile anchors measuring 85 ft. long and 16 ft. in diameter. The anchors weighed approximately 150 tonnes each and were designed to be used as permanent anchors. InterMoor was also tasked with the pre-installation of the entire chain and polyester mooring lines on the seabed as well as their hook up to the FPS. 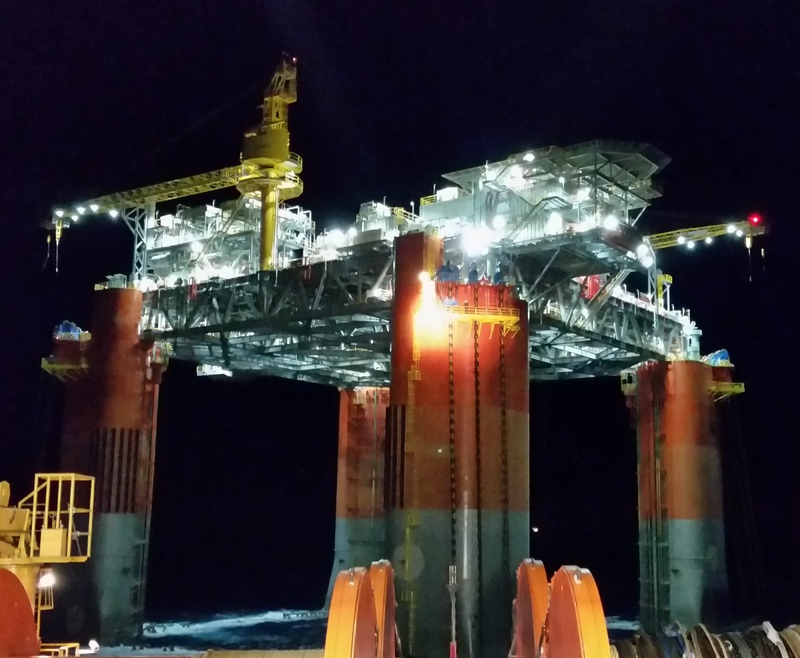 The main challenge faced during the project was the utilization of a prescribed anchor handling vessel (AHV) that had not previously handled mooring components of this size. 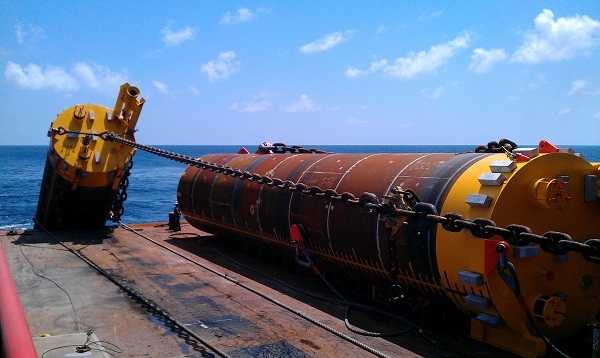 To successfully complete this job, InterMoor worked closely with suppliers and manufacturers to ensure that both the equipment and the vessel were optimized in order to maximize their capabilities and work together efficiently. In addition to standard design practices, customized installation aides were designed to extend the capabilities of the AHV. 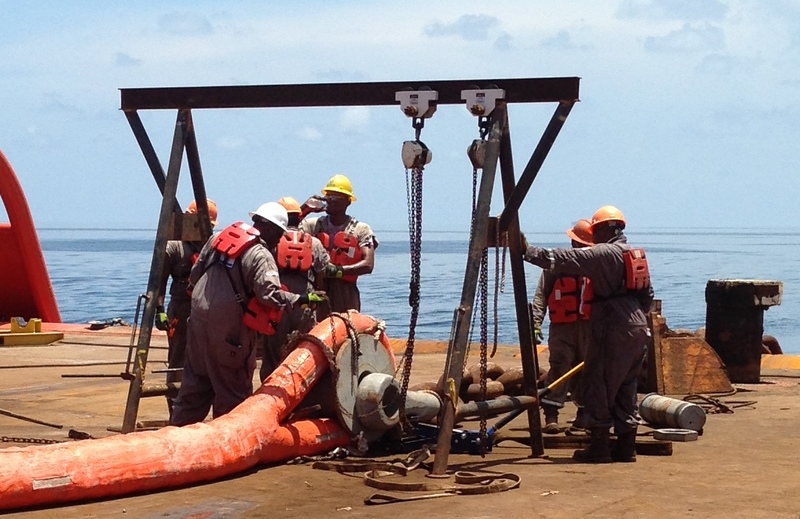 InterMoor developed specific installation procedures for the suction piles and pre-set mooring equipment and hook up. 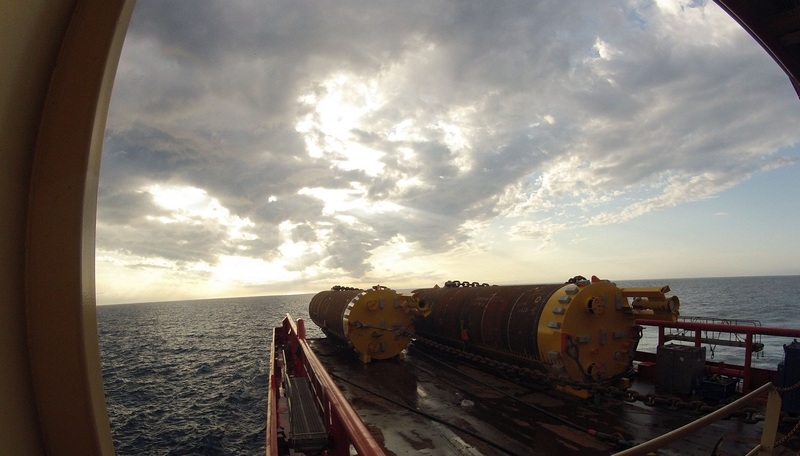 A vessel survey was completed prior to the installation which enabled the vessel to be modified to accommodate the larger mooring system components. Customized highstrength synthetic ropes were used to aid in the polyester installation, minimize twist in the system and allow work to be completed more effectively. InterMoor worked closely with the manufacturer to customize the length, size and durability of the lowering line to help ensure the success of the installation campaign. InterMoor engineers also designed and manufactured assembly aides to help position and install the large mooring components from the prescribed AHV. The Delta House mooring system was installed and connected on-time and without incident. 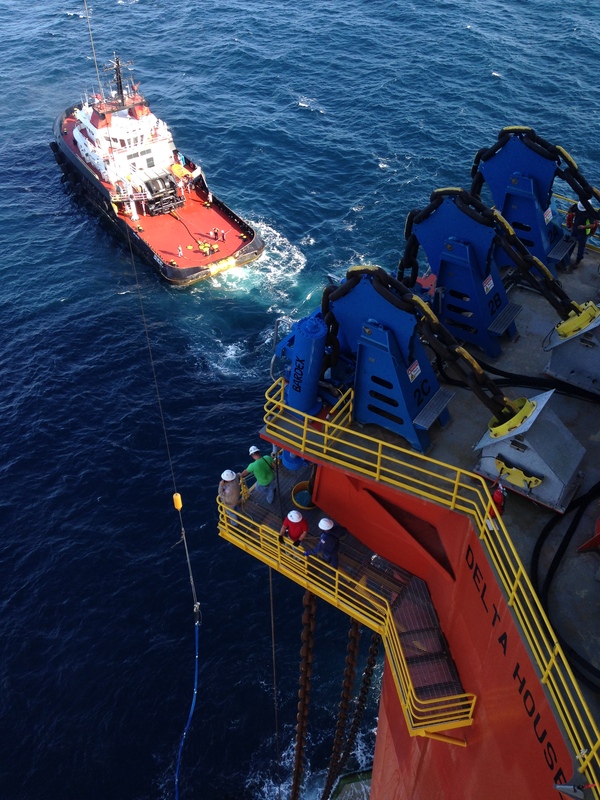 The installation of the mooring system took place within the second quarter of 2014, followed by the hook-up in the third quarter. 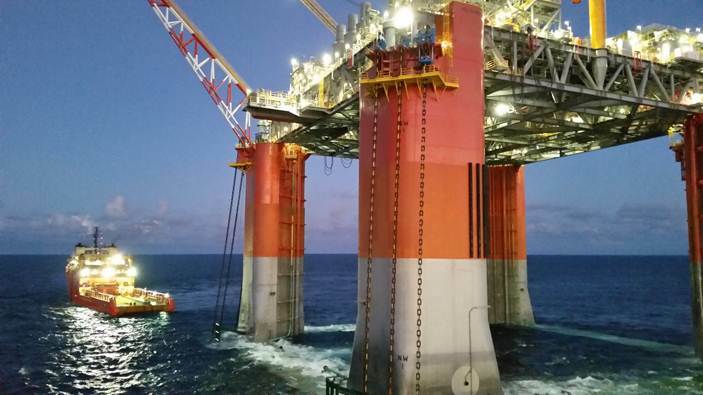 InterMoor utilized technical innovations to ensure that the anchor handling vessel was outfitted properly, and in a cost-effective manner, allowing for the project to be completed efficiently and successfully.